On July 19, citizens of the Mexican state of Chiapas will vote to elect their local authorities. 1. What offices will be elected? Voters will elect: 24 deputies by relative majority, 17 deputies by proportional representation, and 122 delegation chiefs for City Council. 2. How many political parties are participating? 12 political parties: Acción Nacional (PAN), Revolucionario Institucional (PRI), Partido de la Revolución Democrática (PRD), Verde Ecologista de México (PVEM), Movimiento Ciudadano (MC), Chiapas Unido, Nueva Alianza (Panal), Morena, Encuentro Social (PES), Humanista (PH) and Mover a Chiapas. 3. How many people are enrolled in the voter register? 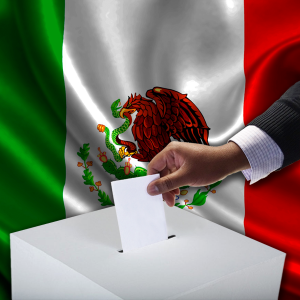 According to data gathered by Mexican electoral authorities, the voter register comprises 3,376,449 citizens. From this total, there are 3.2 million enrolled in the nominal list of voters. 4. What are the requirements to vote? In order to vote, citizens must be registered in the nominal list of voters and have a valid ID. 5. How can voters find out where to vote? Citizens of Chiapas can find out their polling centre through a hotline (01800-433-2000) made available by the National Electoral Institute (INE for its acronym in Spanish). 6. How many polling stations will be active? 5,958 polling stations will be active in 122 municipalities; these are integrated and coordinated by INE officials. 7. How will Smartmatic participate? Smartmatic designed and implemented a solution to help the elections commission to streamline preliminary results. This Preliminary Electoral Results Program (PREP) will be activated on Sunday at 7:00 pm and will run until Monday at 7:00 pm, with automatic updates every 15 minutes.